For example: a quick demonstration to a patient in an operatory that doesn't have a PC, or an explanation to a local physician over lunch. 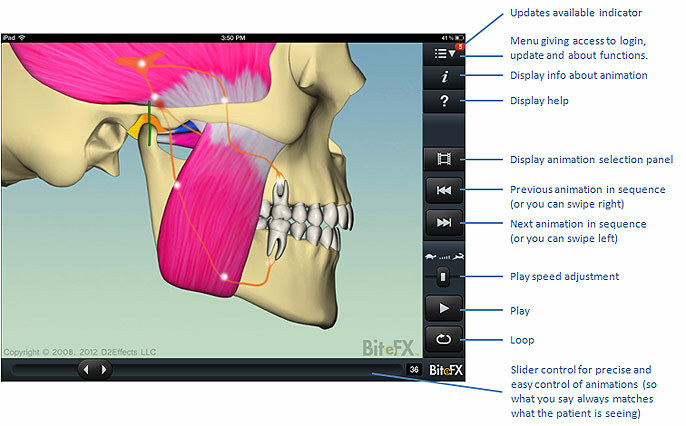 Have BiteFX with you wherever you are so you don't miss an opportunity to help dental and medical colleagues understand why you are different. Enhances relationships with patients as they can see in their hands why your occlusion understanding is important. To install the basic (free) version of BiteFX that comes with just six animations, search for BiteFX on the App Store and install the free app. IMPORTANT! When you want to purchase BiteFX come back to this website and purchase the BiteFX Occlusion Animations with the BiteFX Subscription. 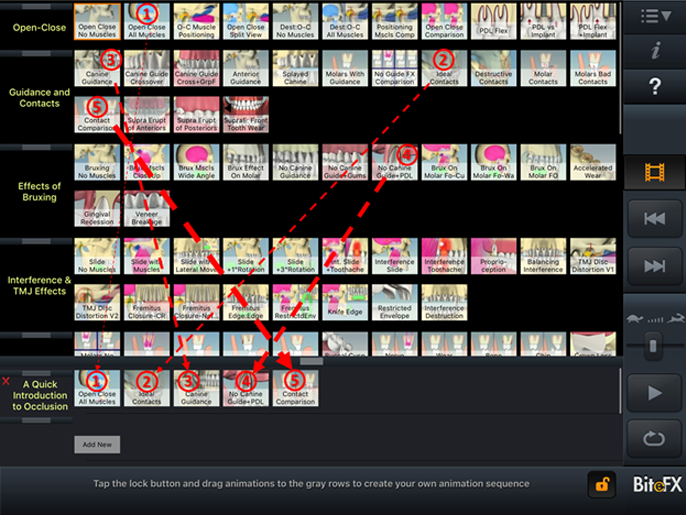 This provides you with the full set of BiteFX animations on Windows AND the iPad PLUS other subscription benefits. You will have a login ID and password that you use to download the full content to the iPad app. The Purchase option in the app is intended for those who only find BiteFX through the App Store and, if you are reading this page, that is not you! One of the best tutorials I've seen for explaining occlusal disease to patients. 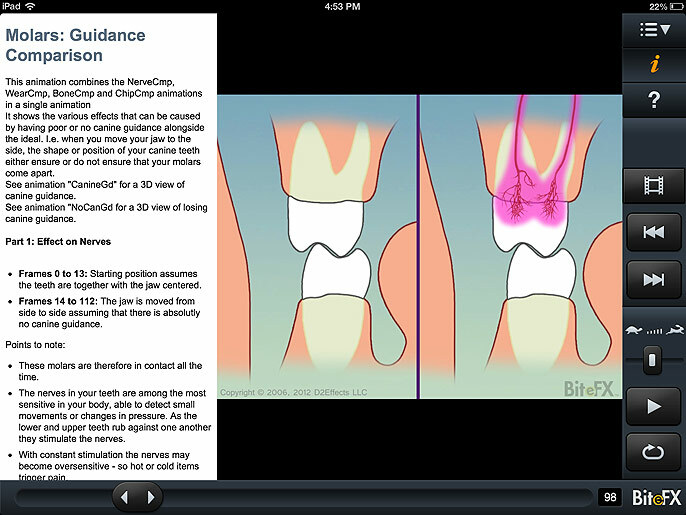 The reasons for occlusal therapy are explained with excellent animations and anatomic accuracy. Thanks for the BiteFX software it is absolute magic and just what I have been wishing for for the past 20 years! Brilliant, thanks for making my life easier and helping patients too!